A common law trademark is created under state law. To trigger common law trademark protection, simply use a distinctive trademark to publicly identify your products. As long as your products are for sale, your trademark is protected even if you never actually make a sale. If someone infringes on your trademark, you may enforce it in state courts but not federal courts. 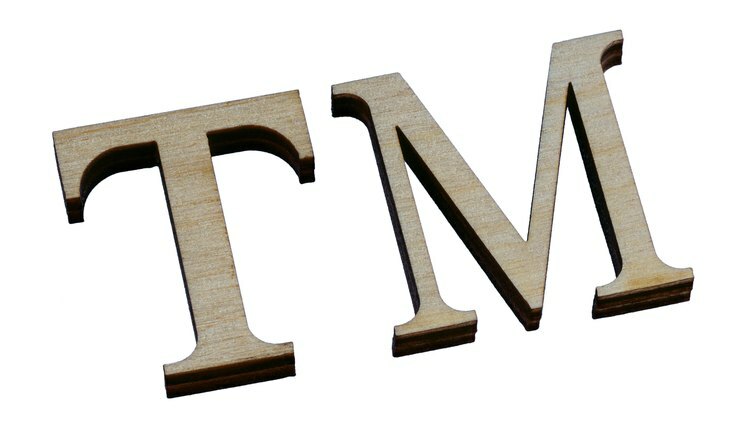 Although the "TM" symbol is used to identify a common law trademark, you don't have to use the symbol to enforce your trademark. Common law trademarks can be enforced only in the states in which they are actually used in commerce. You can file a federal trademark registration application on the website of the U.S. Patent and Trademark Office. You must complete an application form, submit a specimen of your trademark and pay a variable filing fee of a few hundred dollars. Federal registration grants nationwide protection and allows you to sue for infringement in federal courts. Registration might also entitle you to greater damages; since your trademark is registered, the infringing party will have difficulty proving that his infringement was not intentional. The "R with a circle" symbol is used to identify registered trademarks, although its use is not required to enforce federal trademark rights. The trademark laws of individual countries govern international enforcement. As of 2009, the U.S. and 44 other countries were signatory to the Trademark Law Treaty, an international treaty that harmonizes the trademark laws of signatory countries. Obtaining international protection may require significant legal research. In some countries, the use of the appropriate trademark symbol is necessary to enforce trademark rights. Most countries restrict the right to enforce trademarks that are not in use in the country in which protection is sought. It is typical to send a "cease and desist" letter to an infringing party before filing a trademark infringement lawsuit, although this is not required. If the infringement persists and you file a lawsuit, the court may require you to prove your damages and award you only the damages that you can prove. If the infringement was intentional, however, the court may set your damages at the amount of the profit that the infringing party derived from the use of your trademark. A trademark is a symbol or combination of letters or words that distinguishes the products of one seller from those of all others. Whether it consists of a symbol, such as a stylistic logo, or simply words, such as a tag line or slogan, a trademark must be unique. Securing a trademark can be accomplished in its most basic form by simply using it in commerce, but formal trademark registration of a slogan offers valuable benefits. Since the federal trademark registration process takes several months, it makes sense to apply for trademark registration as soon as you design your mark while in the initial stages of product development. Your company can file a federal trademark registration application before you sell any products. You can also potentially secure common law trademark rights in your name, logo or slogan through actual use in the marketplace, such as pre-sale marketing. Under common law, a company automatically secures trademark rights once the original mark is used in association with its goods or services offered in the marketplace.